Patrick Kane, an American professional ice hockey player currently plays as a right winger for Chicago Blackhawks, in National Hockey League (NHL) where Brent Seabrook also plays as a defenseman. He is also a loving boyfriend of Amanda Grahovec. 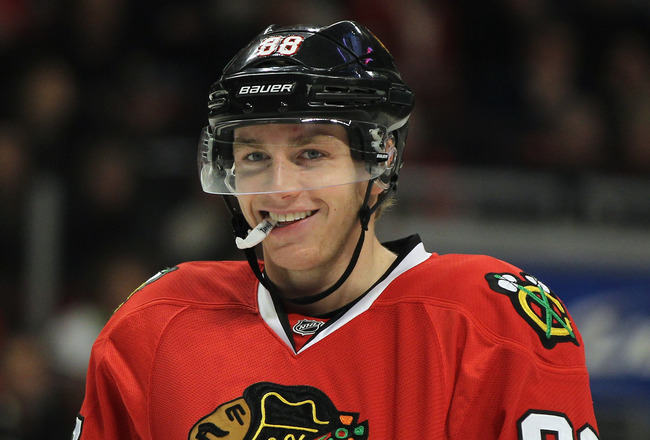 Patrick Kane, who got selected for the Blackhawks after first overall pick in the 2007 NHL Entry Draft, is reported as one of the highest paid players. So, how much is Kane's net worth? Let's know details about Kane's net worth, salary, and career along with his awards. Patrick, who has played for Chicago Blackhawks since after his professional career started, is reportedly enjoying the huge net worth of $12 million. Patrick was hired by Blackhawks after his selection from 2007 NHL Entry Draft, with an entry-level contract of 3 years on July 25, 2007, which was $11.17 million including his annual salary of $875,000 and performance bonus $2.8 million per year. Impressed with the performance of Kane, who atop the rookie scoring race with 72 points, he was announced as the cover athlete for EA Sports' NHL 10 by Chicago Tribune, which led the extension of his contract with Blackhawks. On December 2, 2009, he signed 5-years deal of worth $31.5 million with signing bonus of $1.5 million and salary $5 million which increased to $6 million in the year 2012. With his enjoyment of the cap hit of $6.3 million, Kane's contract came to an end in 2014. Like Alexander Ovechkin, Kane also came in the highlights as the most paid player who signed 8-year contract with his team, Blackhawks which value is $84 million on July 9, 2014, which will end in 2022. Through his third contract, he gained a huge economic benefit which included $7 million signing bonus, average salary being $10.5 million and a cap hit of $10.5 million. In January 2017, Kane sold his house in Hamburg, New York for $3.2 million which he purchased in $2.6 million in 2012. He bought the 5,878-square-foot property after being the top pick in the 2007 NHL draft. As of now, he lives in his luxury house in Chicago. The 29 years-old ice hockey player, at the age of 14 started playing for the USA Bobcats which lasted for 3 years. 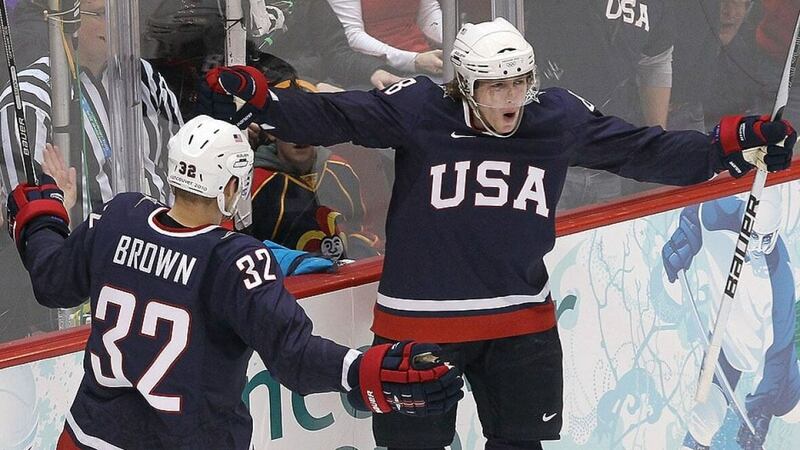 Even though he was drafted by the London Knights in the 2004 Ontario Hockey League Midget Draft, Kane insisted on playing for the United States U-18 National Team Development Program (NTDP) from 2006-2007. Kane, who was announced as the winner of the Emms Family Award for the OHL rookie of the year on April 27, 2007, later joined Chicago Blackhawks the same year with a 3-year contract. The winner of Calder Memorial Trophy of 2008, Kane's contract was extended to 5 years which he signed in 2009. Kane shining in the team with his extraordinary skill got the Conn Smythe Trophy in 2013. Kane has played in the international game representing the United States in the 2010 Olympic Games in Vancouver, where he and the team won the silver medal. Though his contract with Blackhawks was to be over in 2014, he was again signed by the team with a new 8-year contract. Kane, defining himself as the prominent player, got Hart Memorial Trophy, Art Ross Trophy, and Ted Linsey Award in the same year, 2016. His contract will be over in 2022 and as for now, he is the most franchised personality of the Blackhawks.